As Cleveland experiences prosperity, new developments in the downtown area will foster that continued growth. 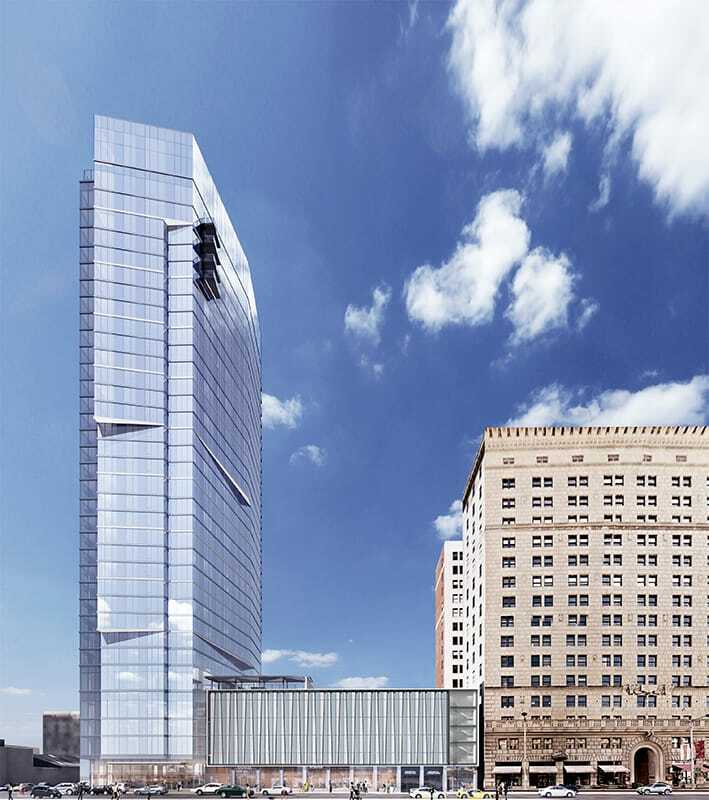 The glass façade of the new 34-story Playhouse Square apartment building will be a distinct addition to the Cleveland skyline. With 318 rental units, the new tower will spur demand for local businesses and elevate the energy within the neighborhood. The vibrant area is the second largest theater district in the nation following New York. 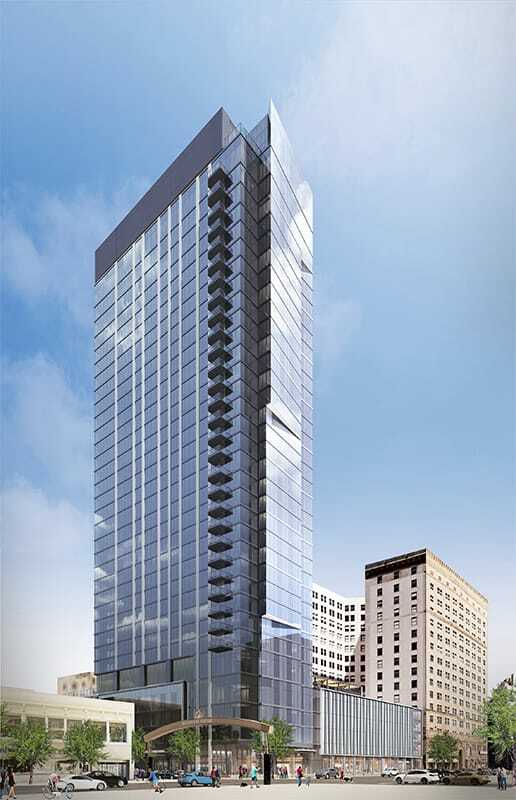 Situated on a one-acre site at the corner of Euclid Avenue and East 17th Street, replacing the parking lot across from the Connor Palace, the tower will also have 528 parking spaces and 22,000 SF for resident amenities. The 602,000 SF project is largely composed of floor-to-ceiling glass, painted aluminum panels and exposed cast-in-place concrete, making a dynamic contribution to the Cleveland skyline. The actual design will include elements that match surrounding theaters. There will be overlapping planes forming a symbolic marquee, and a stage curtain design will be incorporated on the garage façade.